If you can only take one trip take the Poland Tour. All of the guides were very knowledgeable about the places and things we saw. The hotels were a mixture of old world and new. The people of Poland are hard working and very friendly. The food was outstanding. 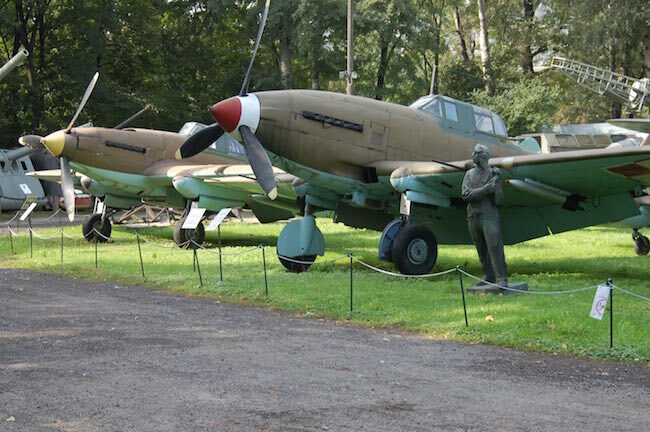 Eighty years to the month of the start of World War II, Stephen Ambrose Historical Tours is excited to offer a special WWII Poland and Germany: 80th Anniversary of WWII Tour in 2019. The first shots of WWII rang out in Gdansk, Poland on September 1, 1939. 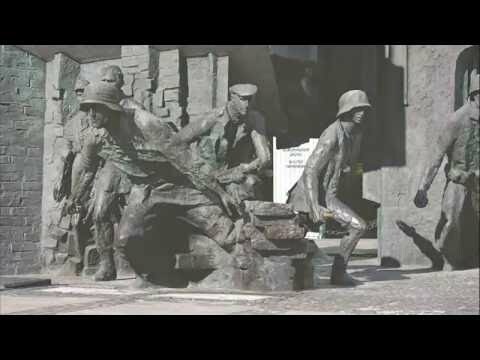 Five years later the Warsaw Uprising commenced on August 1, 1944 and lasted for 63 days as the Polish resistance Home Army fought valiantly to liberate Warsaw from Nazi Germany. Our WWII Poland and Germany Tour begins in Gdansk, which is also the site of another historic push for freedom — the Solidarity movement led by electrician Lech Walesa. We will then begin to wind our way on to Ketrzyn, Warsaw, Krakow, Oswiecim, Zagan, and Berlin, where some of the fiercest battles of the war were fought. Guests who have traveled on this tour before rave about the charm of these historic cities and towns, the warmth of the people in this part of the world, and the many outstanding restaurants, some of which are located in beautiful buildings that date back to the last century. As always, you can expect an unimpeded history study. 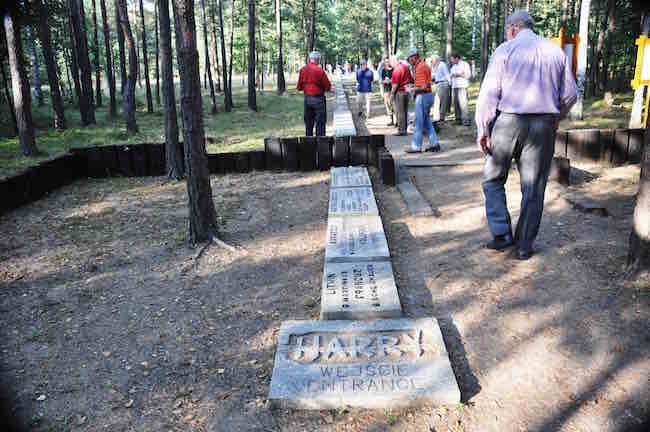 Commemorative events and reenactments are planned to take place throughout the country. 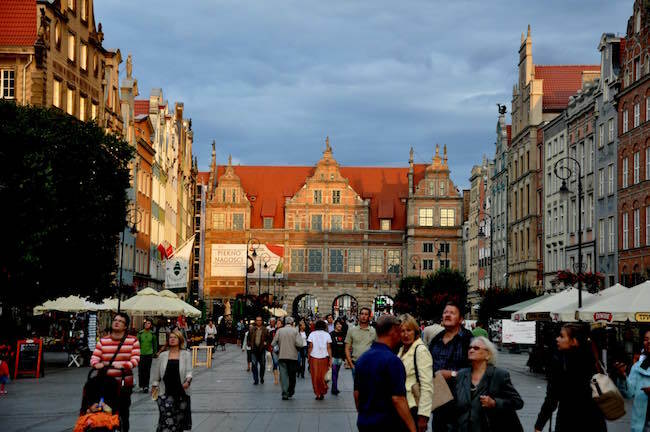 Flights to Gdansk guests depart the United States for Gdansk, to arrive the following day. 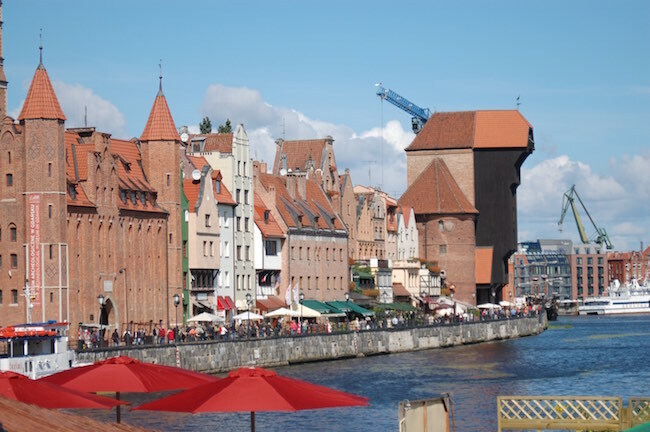 The world has focused on the Polish city of Gdansk twice during the last century. 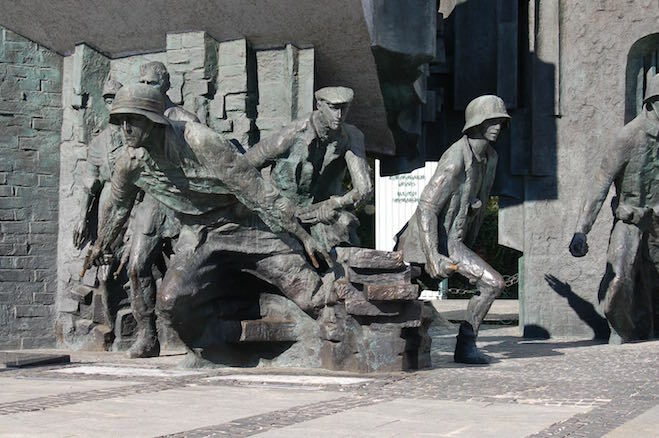 The first shots of WWII rang out here in 1939, and in 1980 the Solidarity movement led by electrician Lech Walesa began its confrontation with the Communist government in the shipyards. The focus of our tour will begin here in Gdansk as we set the stage for our upcoming tour. The tour will officially start with a Welcome Reception and dinner where participants can get acquainted. We will have a briefing and overview of our upcoming tour and the key sites we will visit. 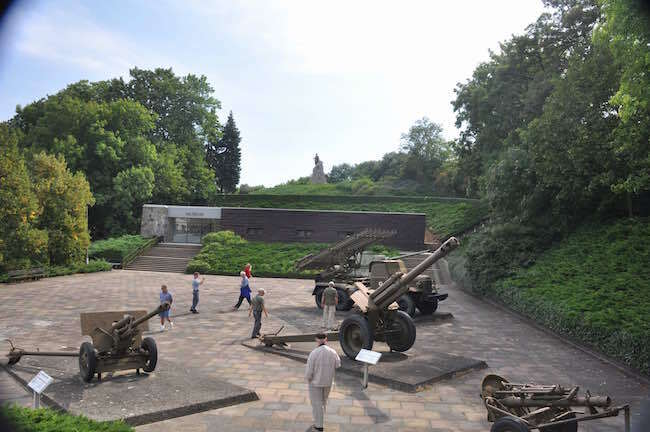 Westerplatte: In1939, the Polish garrison of 182 soldiers withstood German naval, artillery and infantry assaults for seven days in what was the first military action of WWII. 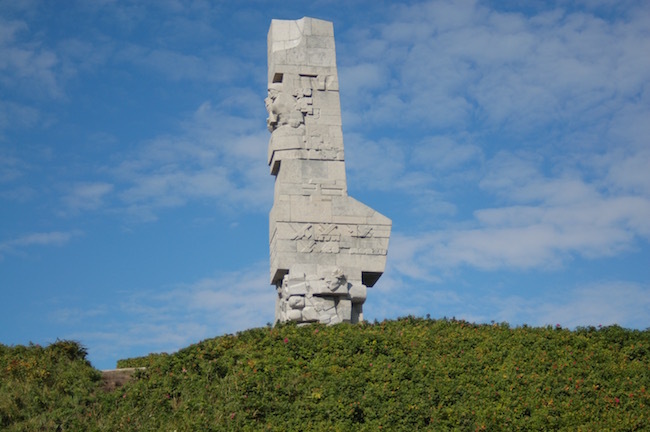 Here we will view the massive monument to the Heroes of Westerplatte and visit the small museum nearby in what was Guardhouse No 1. The concrete walls are still pocked by enemy gunfire. The Wisloujscie Fortress, originally constructed in the middle ages stands here as a sentinel for the harbor. Over the years architects upgraded the fortifications to enable resistance to modern weaponry. We visit the Polish Post Office where armed postal workers and boys scouts held off German militia and armored attacks before surrendering. They then faced summary execution. From here we will go to the Gdansk Shipyard and Solidarity Monument to visit the site were the movement to topple communism began. The nearby Museum documents the beginning of the movement, the years of Martial Law in Poland, and the ultimate victory over a failing system. 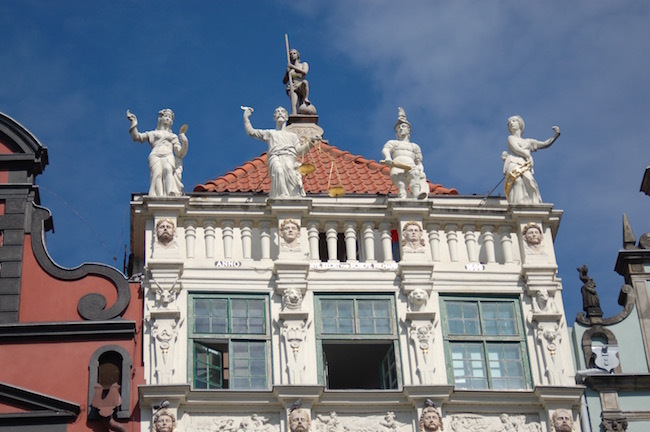 The Old Town of Gdansk, completely rebuilt after WWII, features a marketplace, ornamentally decorated town houses and numerous monuments along the Royal Way. Perhaps the most famous is the Neptune Fountain, the symbol of the city. We will see this as well as tour the Historical Museum in the old town hall. Its ornate rooms and collections offer insight into the history of the city and an ideal starting point for the Old Town. After lunch we will depart for Ketrzyn, the site of Hitlers Wolfs Lair. 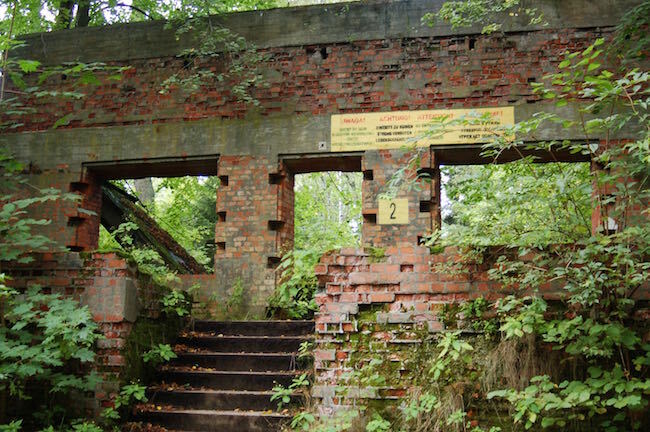 Built in the pine forests of the Masurian Lake District, the headquarters had 50 bunkers, a complete power system, and an airstrip and railroad terminus. Once camouflaged and surrounded by mine fields and razor wire, the ruins offer a glimpse into the sinister nerve center of Hitlers eastern operations. The Wolfsschanze was the setting for the failed plot to assassinate Hitler in July 1944. After an early breakfast we will depart for Warsaw. En route, we will stop at Grunwald, the scene of Europes largest medieval battle. In 1410, the Allied forces of the Kingdom of Poland and the Grand Duchy of Lithuania decisively defeated the Teutonic Knights. This victory drastically changed the balance of power in central Europe. This area also was the location for the battle of Tannenberg in 1914 between Germany and Russia. It was one of the key battles of WWI, and it put the Romanov Empire on the slippery slope to oblivion. We arrive in Warsaw in the early evening. Tour members will be able to relax or explore the Old Town and environs. We begin our visit with an exploration of the Polish Military Museum. An array of weaponry, uniforms, paintings and historical collections tell the story of Polish armed forces from the Middle Ages to WWII. 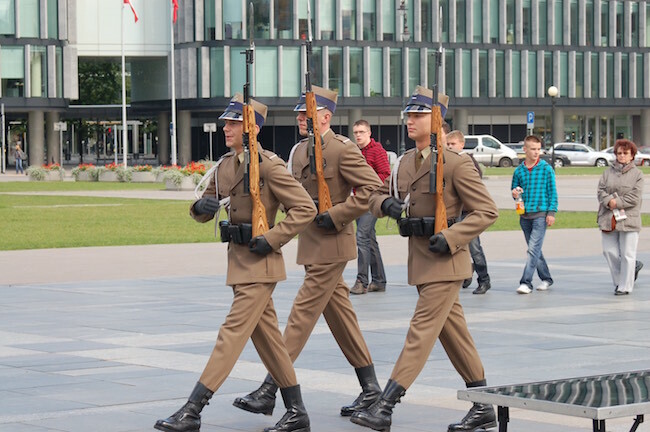 Permanent exhibits include The Defense in 1939, and The Polish Army in the East 1943-45. 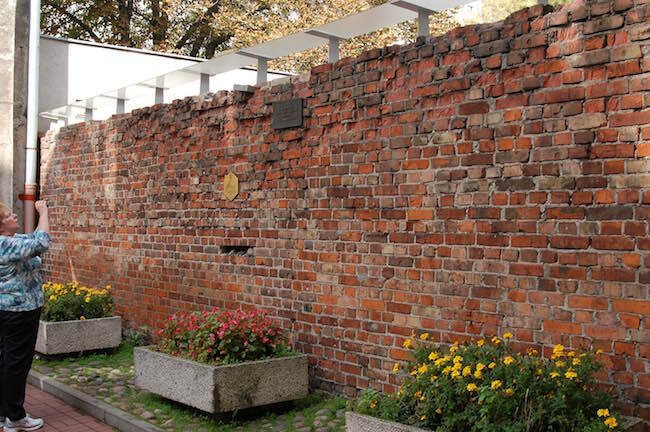 Afterwards we visit the site of the infamous Jewish Ghetto and the Path of Remembrance, which includes the Umschlagplatz where the Nazis loaded deportees onto cattle cars for resettlement in the east. We continue to the Jewish History Institute and finish the day at the Tomb of the Unknown Soldier. We finish the day at the Tomb of the Unknown Soldier. 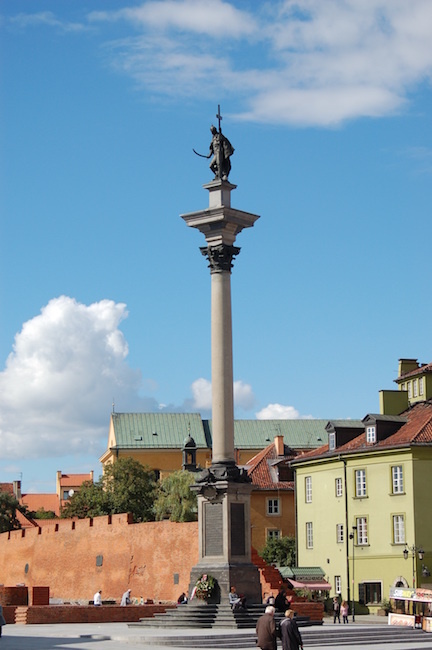 We will visit the Old Town (Stare Miasto) and the main square. 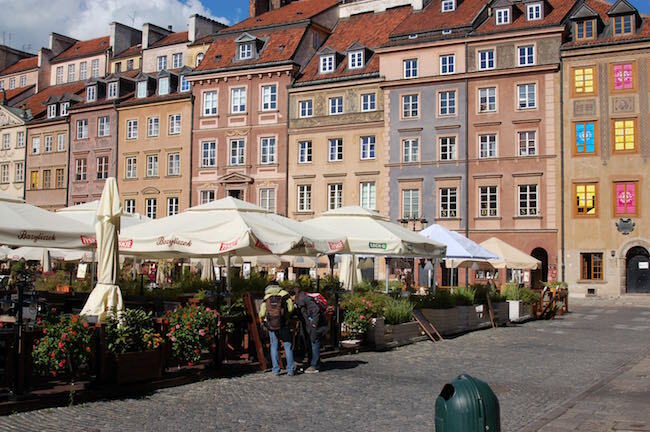 The people of Warsaw used architectural drawings and artists’ renderings to completely rebuild and restore this area after the devastation of WWII. We also will tour the Royal Palace at Plac Zamkowy (Castle Square). 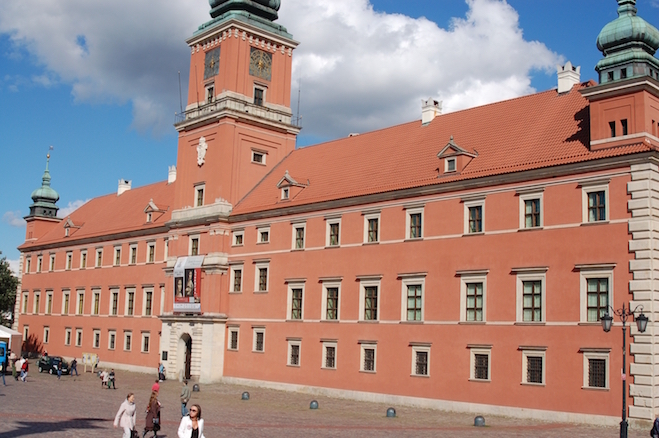 Here King Zygmunt III took up residence in 1611 and made Warsaw the capital of the Polish Commonwealth. His statue, with a cross in one hand and a sword in the other, stands in the center of the square. 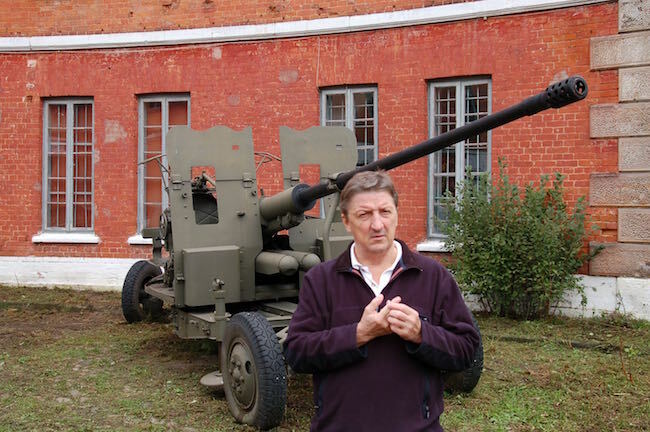 In the morning we will go to Modlin Fortress on the outskirts of the city. Napoleon’s engineers constructed the fortress in the early 1800’s. Years later it became the scene of the last of Polish forces to fall to the Germans in 1939. The surrounding structures and museum afford a view into a little known chapter of this period of WWII. After lunch we will go to the Warsaw Rising Museum. Here we will see the exhibits that describe the history of Poland during the war. The actual Rising of the Polish Home Army against the Germans in 1944 is the main feature. The Home Army of some 40,000 soldiers and citizens battled the Nazis and their reinforcements fiercely for 63 days. They waited in vain for support from the Red Army, but the Soviets refused. 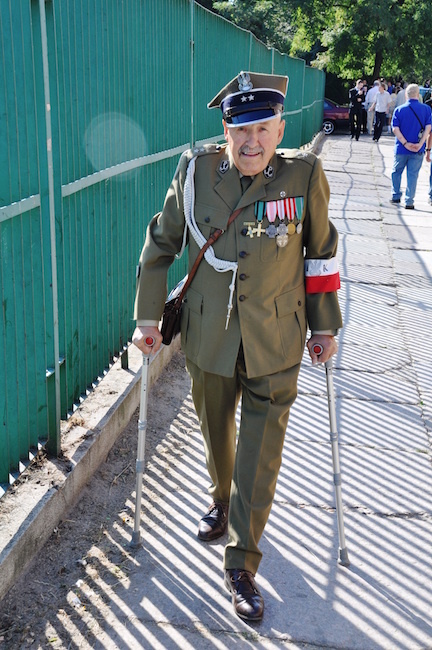 In a rare tribute to their enemies, the Nazis granted the Polish combatants POW status. In the evening we can enjoy and explore downtown Krakow. Today we will go to the Kazimierz district, the old Jewish neighborhood, which is home to the museum and the Isaac Synagogue. Afterwards we will cross the Vistula River to what was the Jewish Ghetto. We will see the museum housed in what was once the only pharmacy in the Ghetto and the Enamel Utensil Factory run by Oskar Schindler on Lipowa Street. His efforts to save a group of prisoner-workers became the main subject of the film Schindler’s List. Today it is a museum that many say is one of the best documentations of WWII and the holocaust in Poland. After lunch we will visit the Polish Home Army Museum. 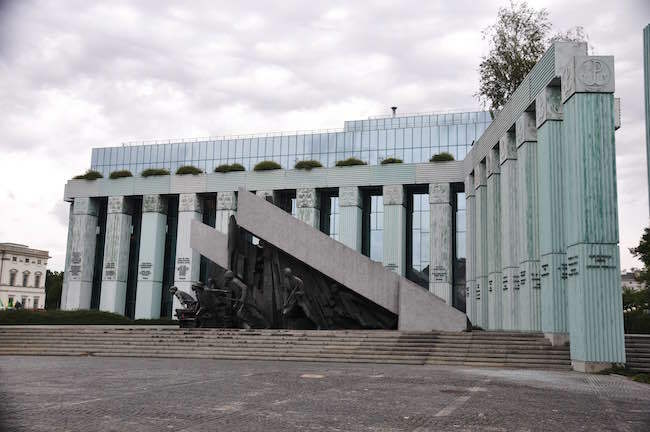 Although the exhibits show Polish military history for the last 100 years, the emphasis is on the struggle and resistance against the Nazis in WWII. Polish pilots were vital in the Battle of Britain, so we will take in the Polish Aviation Museum with more than 100 aircraft at its airfield. This morning we will depart for the international symbol of the Holocaust, genocide and terror: Auschwitz. 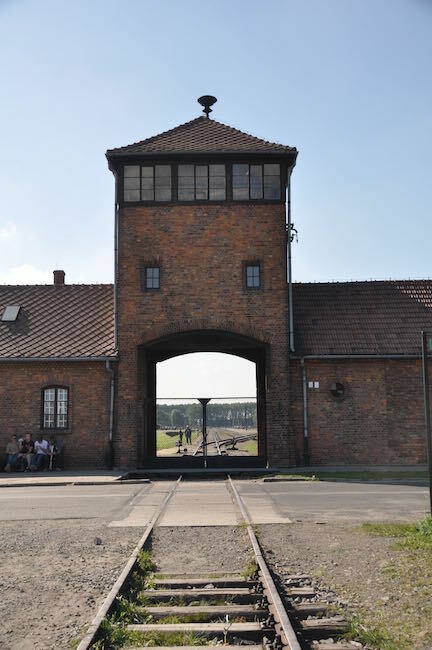 We will see the Main Camp and Birkenau and you will experience the eerie chills of the admonition "Arbeit Macht Frei" (Work Makes You Free) above the gates. We will leave in the afternoon and spend the night in Wroclaw. After breakfast and a morning tour of the old town of Wroclaw (Breslau) we will leave for Zagan where The Great Escape of book and film fame took place. 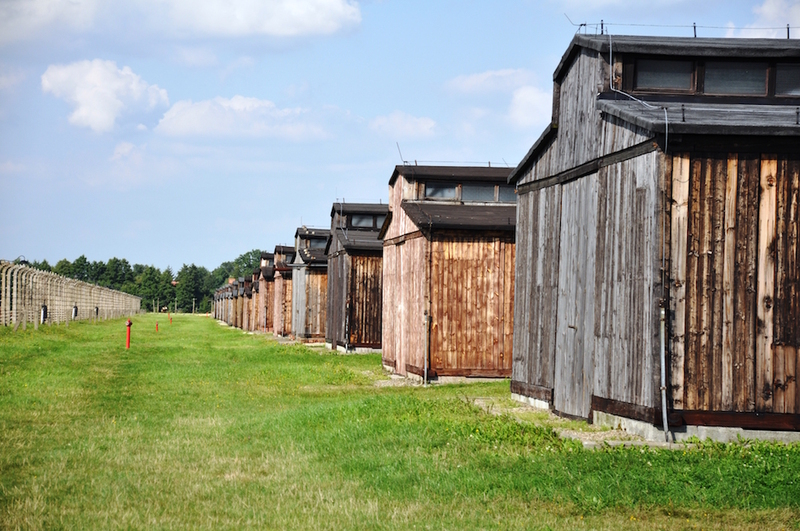 Here at Stalag Luft III, 80 imprisoned airmen escaped through a 111-meter tunnel. Thus began a colossal manhunt throughout the entire territory of the Reich. Only three escapees were completely successful, while 50 of the 73 others were captured and executed. 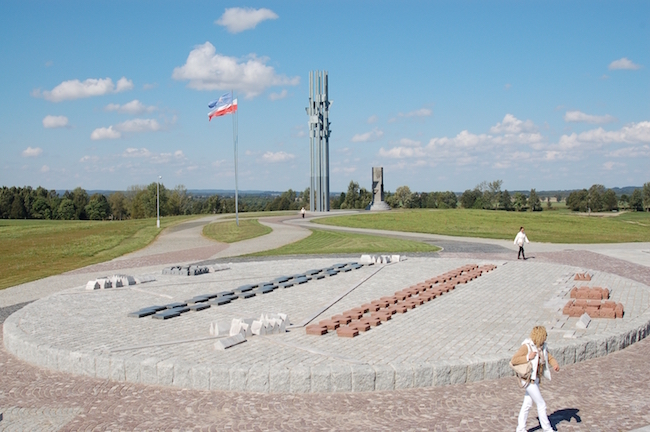 We will see the monument to the escape and visit the Museum of Allied Prisoners of War Martyrdom. We will depart immediately after breakfast for Seelow Heights. As the massive three pronged Soviet advance converged upon Berlin, General Georgi Zhukov pitted his one million men and more than 3000 tanks against the German defenses on the Oder River. We see the Red Army command bunker and observation posts, German defense trenches and the first Soviet T-34 tank to cross the Oder. After stopping at the cemetery we proceed to Berlin. This morning we pass the Brandenburg Gate on the way to the nearby Reichstag. The Nazis paraded through the gates to celebrate their assumption of power in 1933. The famous fire that same year at the Reichstag enabled the Nazis to blame enemies of the state and embark on their official reign of terror. You can still see graffiti left by Red Army soldiers in 1945. We move on to the Soviet Memorial and then a remnant of their post-war legacy, Checkpoint Charlie. This is the well-known Cold War crossing point between East and West Berlin. On our final day, we will visit Karlshorst where the final surrender took place. 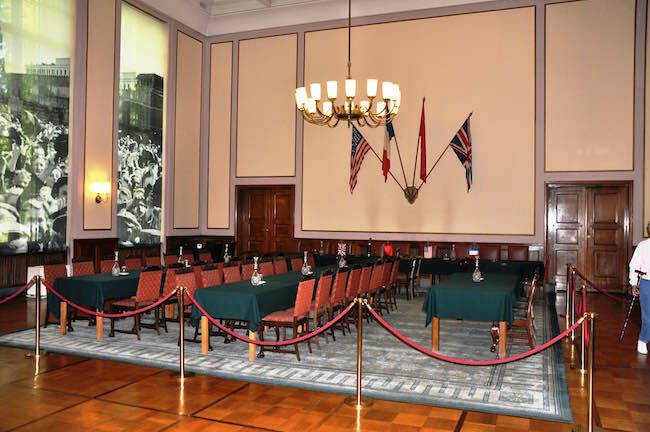 The room where the documents were signed is still intact. We then see the the Topography of Terror which chronicles the history of Nazism, before ending the day at the Reichstag. That evening we will return to our hotel for a farewell dinner. A transfer will be offered to the Berlin International Airport. There is a fair amount of walking on this tour, including on cobblestones, gravel paths and inclines. Certain parts of the tour require mobility. Call Company Director Mark Bielski at 504-821-9283 for a fuller explanation and any questions. Prices are per person based on double occupancy. For a single room please add $1,300. Fantastic trip w/ the Best Guide in the Business! Just got back from the Poland portion of this trip (led by Chris Anderson) and it was an absolute great time. Between the nice hotels, nice bus, nice driver, excellent itinerary, but most of all, the best guide in the business in Chris Anderson, it was a top notch, unparalleled tour. Chris is not only knowledgeable but passionate about history and understands the sacredness of the locations that we visited, and this passion comes through in the way he explains things. In addition to Chris, SAHT brings in local experts at Gdansk, Wolf’s Lair, Warsaw castle, and Krakow, among others. They are well versed in their areas of expertise and deliver stories and knowledge with an energy that conveys how important these areas are to them, and to history. The hotel stay at the Hotel Zemek Ryn is an interesting one as a 15th century castle turned four star hotel is an interesting transformation. Even though it took me a little bit to feel comfortable, I hope this stays on the itinerary as it is one of the aspects that make this tour unique and special. Overall, it is a great tour and well worth it. I also met some very nice and interesting people. Highly recommend! Having visited most of the battlefields of Western Europe, this trip allowed me to round out my experience by visiting other battlefields of Eastern Europe. Historical content seemed to flow well and really helped to understand the history of Poland and Germany….took time to talk to everyone in the group and include everyone in different discussions. Mark was more than knowledgeable, presented details in context of where we were and what we were experiencing, with an excellent sense of humor. Kept things organized, moving and relevant.